For those who need a break for the lowfat goodness of Pinkberry and Yogurtland, Sprinkles, of the famous Sprinkles Cupcakes, is debuting their new ice cream. The shop opens in Beverly Hills tomorrow. 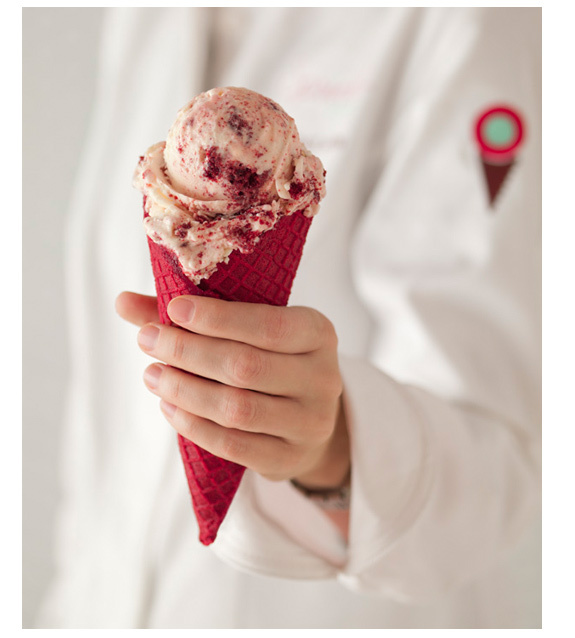 Referring to itself as a “back to basics Creamery,” the menu boasts delicacies such as red velvet cones, and ice cream sandwiched between layers of cupcake tops. There’s a new rose in town! And as of now, this one’s going down among the best anyone has ever showed up at my door unexpectedly carrying. Seriously. And I really love me a Sterling Rose. Though wrapped in paper, there were no ribbons tied around this rose. This delivery came packaged in a pint-sized container with a plastic spoon. REAL ice cream?